The song lyrics from ‘Two Tribes' is apt when examining the effect of a trade war between the US and China on the LNG market. The ominous lyrics “One is all that you can score”, forebodes the effect this trade war may have on their future. China's patience should not be underestimated and countries like Australia and Russia are able to pick up the supply slack as their new LNG projects came online at the end of 2018. What's the impact on the LNG market? With China imposing a 10% tariff on U.S. LNG (as of 24th September 2018), the move is now a major setback for the growing energy relationship that was on track to become a boom for both economies. This imposed tariff also adds pressure on the US LNG industry, which is competing with Russia, Australia and Qatar for market share in China, the world's biggest gas buyer. Throughout 2017, US officials were courting Chinese companies to invest in new export projects. The tariffs imposed by both countries signal how much pain the two presidents are willing to endure, so as to not back down from a trade fight. The Trump administration has stifled the US gas export industry, which is seeking an estimated $139 billion to fund more than a dozen projects, while President Xi's move threatens to raise the costs of eliminating smog by using alternatives to coal. Despite the 10% LNG duty that China has imposed on the US, it will not have a significant impact on the China's LNG purchases. As the deadline for a solution to the trade war looms closer, China will increase tariffs on US LNG in March from 10% to 25% and will place US current and future LNG projects in a critical position. Imports of the fuel are surging under Beijing's campaign to wean the country off coal, and China became the world's second-largest importer in 2017, just behind Japan. YOY (YTD 2017-2018) imports from the US has jumped six fold, yet it still accounts for less than a tenth of the total that China imports. China still has many other suppliers it can turn to, with Qatari state-owned Qatargas signing (September) a 22-year deal to supply LNG to a subsidiary of PetroChina. Russia can export more as well, as the “waiting in the wings” player. A gas pipeline connecting eastern Siberia and China is set to open in 2019 and will not only increase LNG supply from the Arctic, but also ensure uninterrupted supply. In contrast, the US will suffer a drop in LNG exports to China, which accounted for 15% of its total in 2017. 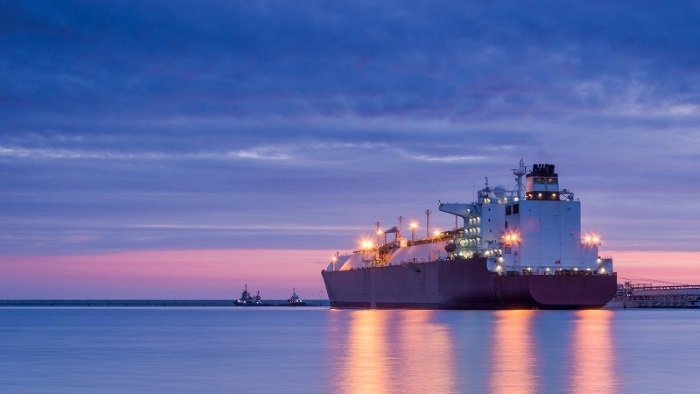 American LNG suppliers are now turning to Europe as an alternate market, which is already well supplied by Qatar, North Africa and Russia's strategic Eastern European gas pipelines and do not require seaborne transportation. While LNG prices in Asia are likely to remain largely unaffected for now and China builds up gas inventories early ahead of the winter, the tariff will not have much impact in the short term, which means US exports will go somewhere other than China. Observers are focused on what this change will mean in the long run as LNG production and exports require massive investments. A prolonged trade conflict will discourage Chinese investment in American facilities. In addition, the LNG tariff could undermine US competitiveness and boost projects in places such as Russia and Qatar. If US LNG export is unable to serve China's insatiable appetite, the US shale gas industry will lose significant opportunities not only in the short term but in the long run as well.